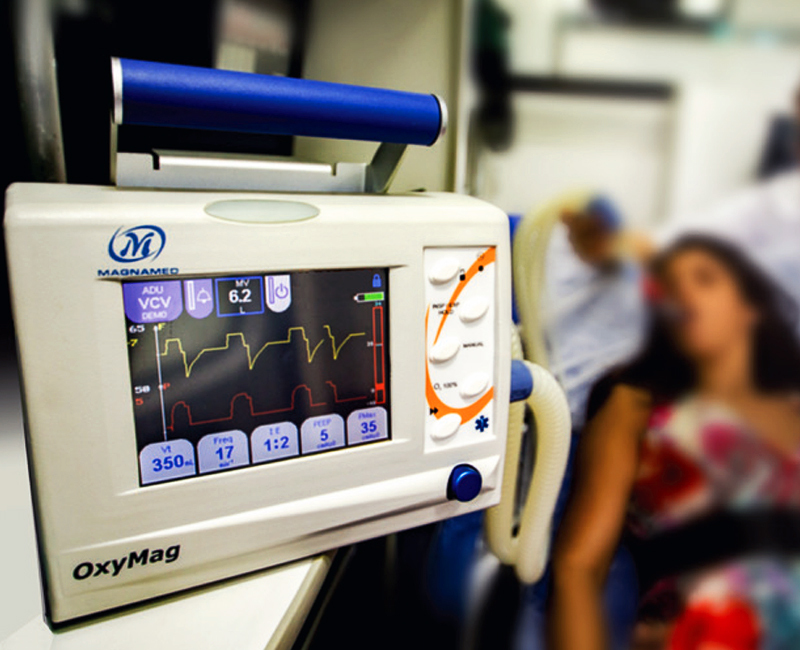 Designed for accurate delivery of Air / Oxygen mixture to patient in emergency care – in Ambulance or in Emergency wards. 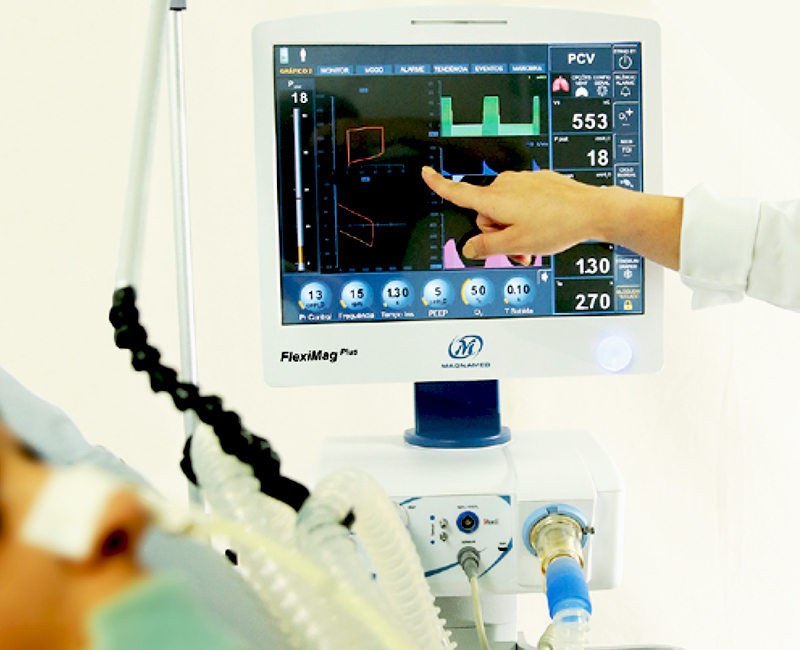 Suitable for Adults & Paediatric patients, offers both Invasive and Non – invasive Ventilation modes. 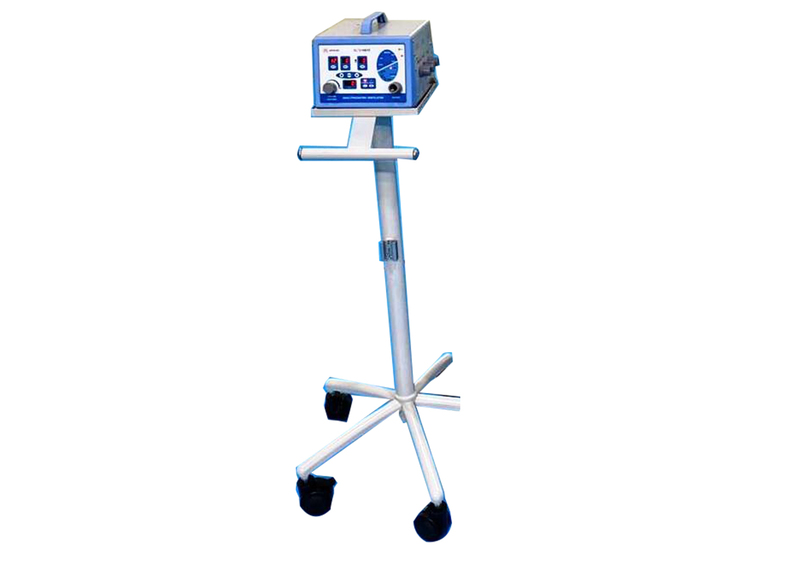 Simple Set up, quick starting and monitoring of patient values make it ideal in such situations. Uses only Oxygen gas as driving force while air from Atmosphere is used for blending from 100% Oxygen to 50% Oxygen. No expensive replaceable parts like Turbine, and requires minimum maintenance during its life time. When soft and precise care is important for the young lives pre-term to large neonates during Transport, NANOvent C provides the right answers. Designed for transporting Neonates incl. pre-term babies safely, NANOvent C offers the convenience of safe mechanical ventilation in a very simple way. With built in high precision oil free compressor, NANOvent C offers independence from Oxygen source to ventilate at 21%. However, by using Oxygen from cylinder as per baby's requirement, user can achieve 21% -100% FiO2 values, using Air & Oxygen flow valves suitably. 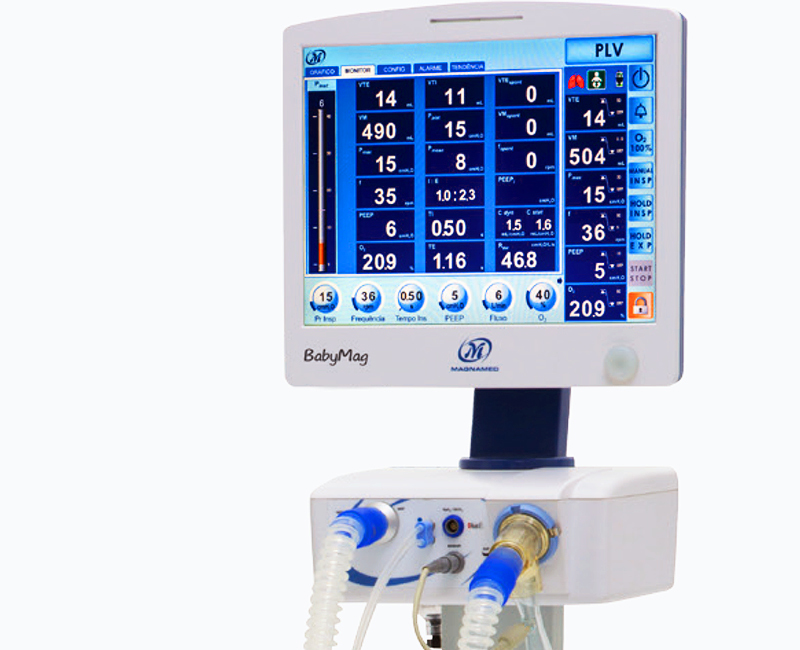 FiO2 monitor built in will guide the user for correct % of oxygen being delivered to the Baby. Breath rate of 120 BPM is provided by Hi-fidelity Micro controller for safe ventilation of the baby, uniformly and for any length of time. 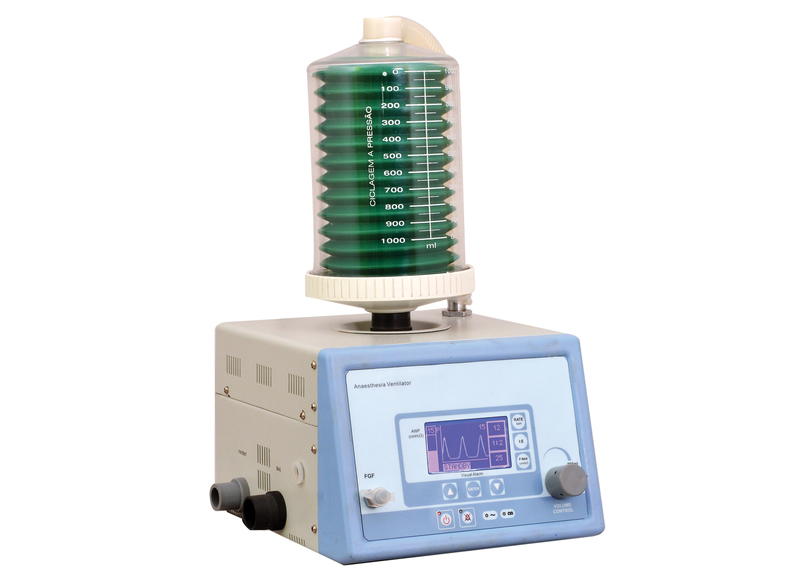 A large GLCD screen now offered by NANOvent C provides all set and monitored parameters arranged conveniently for users. P x T graph gives a lot more insight about the way the lung expands and contracts. All alarms are on the screen with full message along with audible tone. 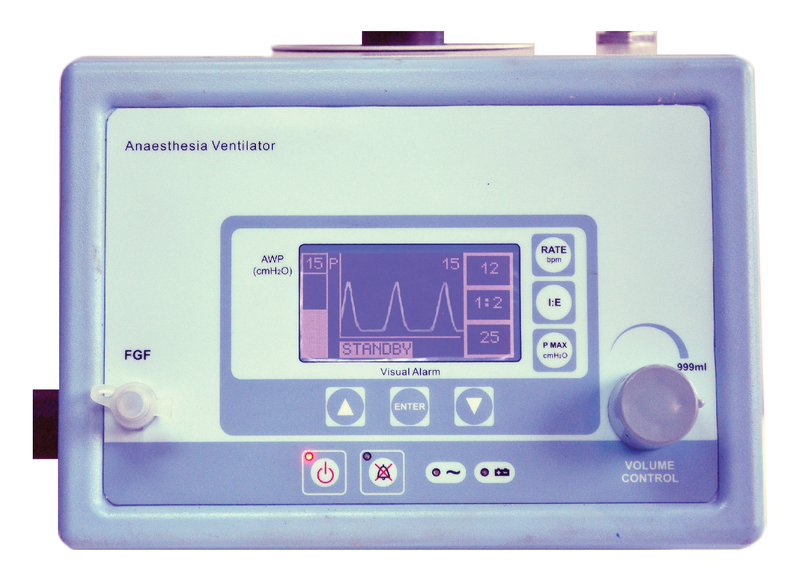 KRITI KARE INDIA offers the only stand alone Anaesthesia Ventilator with both volume and pressure limiting based on Time cycling. 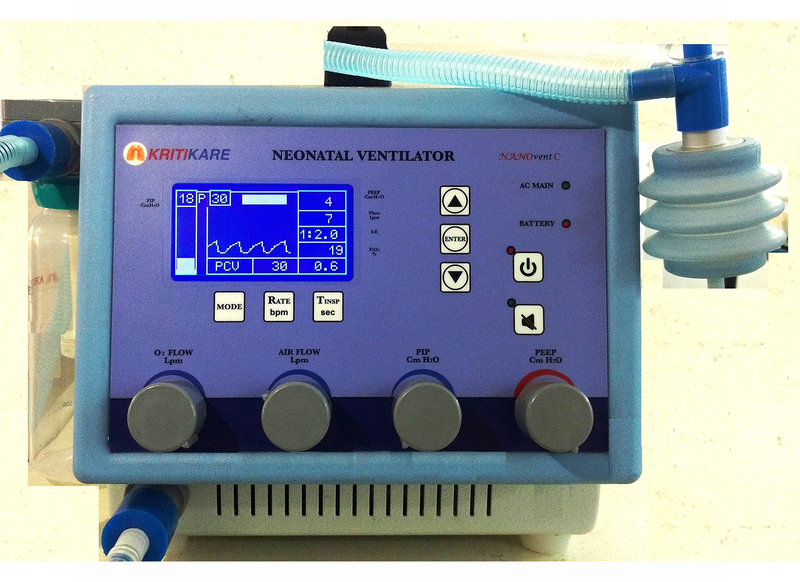 This makes KRITIvent capable of ventilating even neonates during surgery, and providing the much needed safety for them.